The city of Yingwan selects a new ruler every 10 years, the coveted posted of Trade Master - which is filled by holding a trading competition. Dale of Merchants 2 is a deck building card game in the style of Dominion that casts players as animal merchants trying to prove their prowess by hiring different species to their cause. From the experimental Platypuses to the reckless Marbled Polecats to the aggressive Dwarf Crocodiles, stock your stalls with interesting items and get there ahead of the competition! Fully compatible with the original Dale of Merchants, Dale of Merchants 2 separates itself from other deck building games by being adorable, low on luck, and high on timing and skill. This version of the game also adds team play for four players! 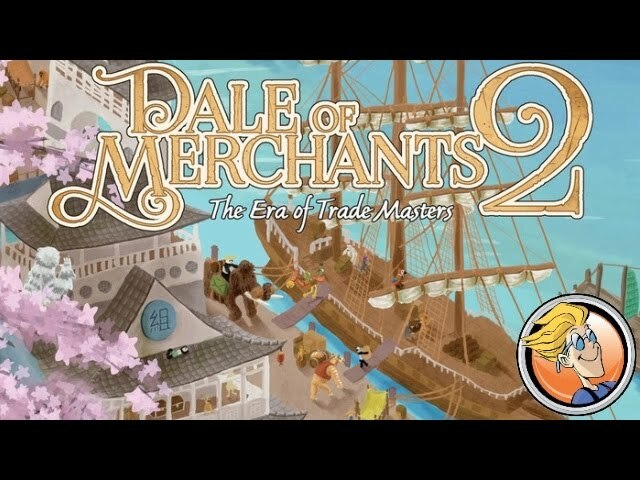 Buy Dale of Merchants 2 for a beautiful deck building game with a cute theme and wonderful mechanics. Dale of Merchants 2 was featured in the article Top 6 Super Stocking Stuffer Board Games 2018.